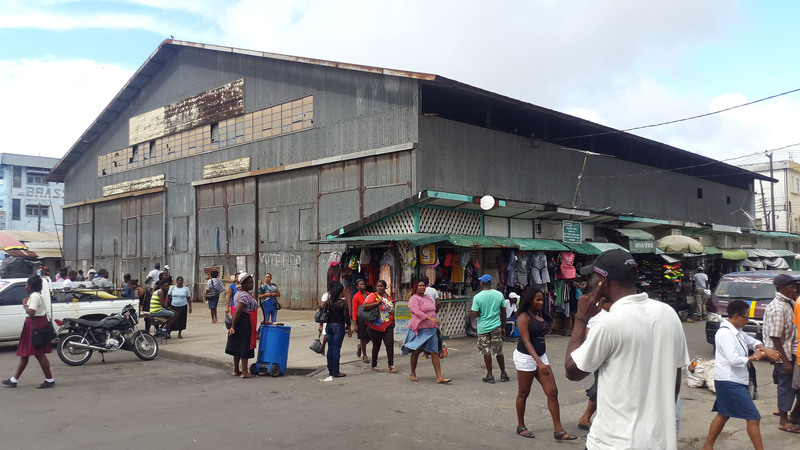 The Water Street vendors who were given 24 hours to move from the pavement in front of the former Guyana Stores Limited bond are pleading with the City Council to give them an adequate amount of time to move as they have nowhere to go. “On Tuesday, they give us 24 hours to remove and we filed an injunction because of that,” Peter Warner, along with several other vendors, told Stabroek News on Friday. They explained that while they were given permission since 2009 from businessman Malcom Panday to use the area to ply their trade, the city council had given them an unreasonable amount of time to relocate themselves and had not offered any alternatives. Justice Roxane George on Wednesday granted an interim order preventing the Mayor and City Council from removing Warner’s stall. In his application to the court, he sought a declaration that the use and occupation by him of a portion of private property for the purpose of trading and vending is lawful and duly authorised by the owner. The matter comes back up for a second hearing on Tuesday. Panday denied giving the vendors permission and would sign an affidavit that would be presented to the court next week. Warner explained that the businessman had spoken to them and had explained that the city council was “pressuring” him to have them removed but he had not given them any formal notice to move. “They came this morning and went away with five pants and took some other vendor’s shirt,” Warner said, while adding that the vendors have no problem with moving but the notice was too short and relocation options were uncertain. “One day? How we gon just pick up and move in one day after all the time we here? Is not Royston King put we here and he want to come and move we!” another vendor said, while claiming that the transport for the land showed that they were on private property. The vendors explained that a suitable time of three months would be enough for them to sell their current stock and be able to find somewhere to relocate. However, a statement from the City Hall on Friday stated that the businessman has told the Council that he is not facilitating vendors operating outside of the bond. “Today, Panday visited City Hall to clear up the issue of him allegedly allowing vendors to vend near his property since he understands that a court injunction has been granted on the grounds that he had given permission for vendors to operate at his location,” the statement said, while adding that Panday had denied claims and he would sign an affidavit that would be presented to the court next week to clarify the matter. According to the statement, Panday told the Council that the bond was acquired from the National Industrial and Commercial Investments Limited (NICIL) and plans were drawn up and approved by the Central Housing and Planning Authority and the City Engineer’s Office for an eight-storey mall to constructed but the vendors had occupied all four sides of the structure, making it extremely hard to commence construction. 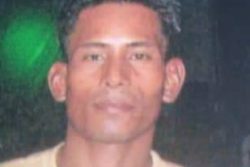 The statement added that as it currently stands, the vendors had not only taken up Panday’s property but part of the city’s pavement. “Panday’s place is laid out at 109ft four inches wide and 127ft six inches long. At least 90 per cent of its perimeter has been occupied by vendors who have not only placed tables and other such items on the pavement but have built structures that remain after business hours,” the statement added, while highlighting that the vendors had been asked several times to remove from the location but had not listened and despite advice by lawyers to start construction Panday had not because he has always been “sympathetic,” since he is aware that persons live at their place of business and some have their children with them. “Starting the construction would be dangerous to those persons,” the statement quoted Panday as saying, while adding that being unable to construct the mall has caused him, on several occasions, to have authorities extend his construction authorisation, with the most recent extension being granted last November for one year. According to the document, should Panday fail to start construction in the given time, no more extensions will be granted. “So it’s like I’m being penalised for this disorganisation,” he was further quoted as saying, while explaining that should the mall be constructed it would provide a lot of employment opportunities for hundreds of persons during its construction and operational stages. As a result of Panday’s position, City Hall said no activities, and specifically vending, are permitted at the identified location. It further said that some persons who operated outside the bond are owners of stalls at the new vendors’ mall across the street. “They are again urged to return to their legal stalls or forfeit [them],” the statement concluded.